von James P. S. Devereux Colonel U.S.M.C. “It is Monday, 8 December 1941. 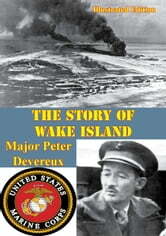 On Wake Island, a tiny sprung paper-clip in the Pacific between Hawaii and Guam, Marines of the 1st Defense Battalion are starting another day of the backbreaking war preparations that have gone on for weeks. Out in the triangular lagoon formed by the islets of Peale, Wake, and Wilkes, the huge silver Pan American Airways Philippine Clipper flying boat roars off the water bound for Guam. The trans-Pacific flight will not be completed. “Word of war comes around 0700. Captain Henry S. Wilson, Army Signal Corps, on the island to support the flight ferry of B-17 Flying Fortresses from Hawaii to the Philippines, half runs, half walks toward the tent of Major James P.S. Devereux, commander of the battalion's Wake Detachment. Captain Wilson reports that Hickam Field in Hawaii has been raided. “Devereux immediately orders a "Call to Arms." He quickly assembles his officers, tells them that war has come, that the Japanese have attacked Oahu, and that Wake "could expect the same thing in a very short time” Robert Cressman. 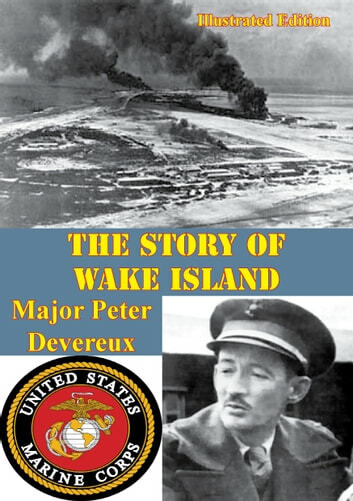 So began the epic 14 day siege of Wake Island in 1941, on one side the overwhelming numbers and firepower of the invading Japanese on the other Major Devereux and a handful of Marines aided by civilian contractors and miscellaneous personnel. In this memoir Devereux recounts how he and his men put up a resistance that stunned their Japanese foes, and provided their American countrymen with a potent positive rallying point after the attack at Pearl Habor. Colonel Joseph "Joe" Foss U.S.M.C.